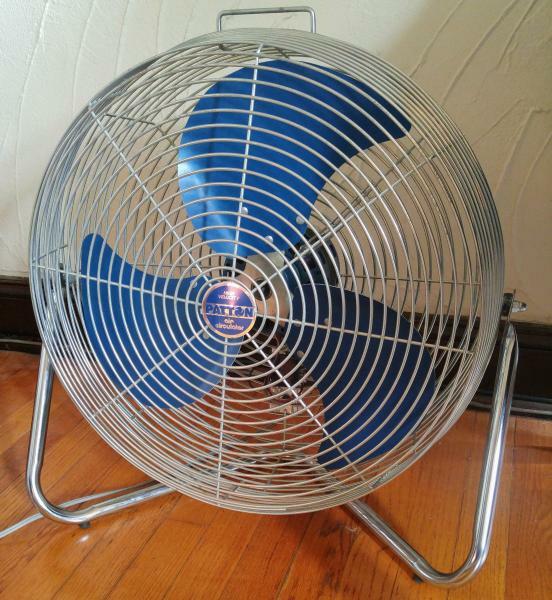 We're all weird to an extent for liking fans in the first place, but I can top that in my obsession with the vintage air circulators. A niche within a niche. At least a dozen variants of this fan has passed through my ownership/service in my years of collecting, but I've never had one with these design quirks. The U2-1879 is what I believe to be made in the 1980's, and the successor to the U2-1872 (70's era) and just before the U2-1887 (90's era). 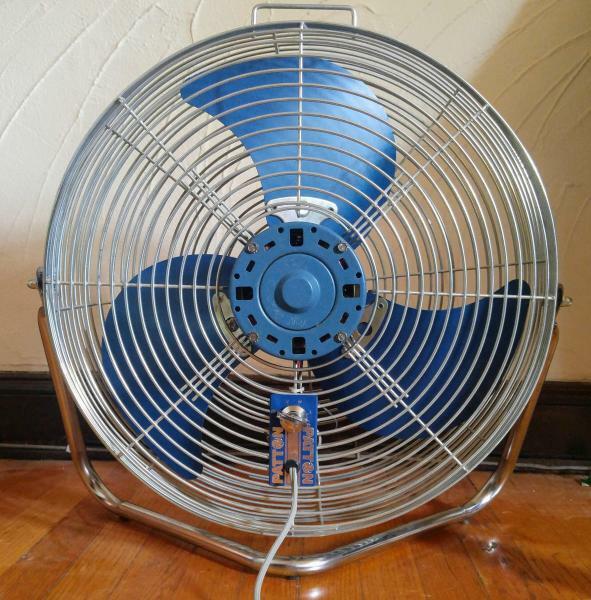 This particular fan uses a 4.2 amp shaded 4-pole Westinghouse motor. I've seen Samsung, GE, McMillan, and now finally a Westinghouse-powered Patton. Note the very large bearing retainers and open nature of the motor, however no oil ports. Very nice and thick copper windings are cooled by deep vanes on the front of the rotor. On the inside hub of the blade, you'll find a stamp revealing LAU made it, as they did with the earlier paddle bladed U2-1872. 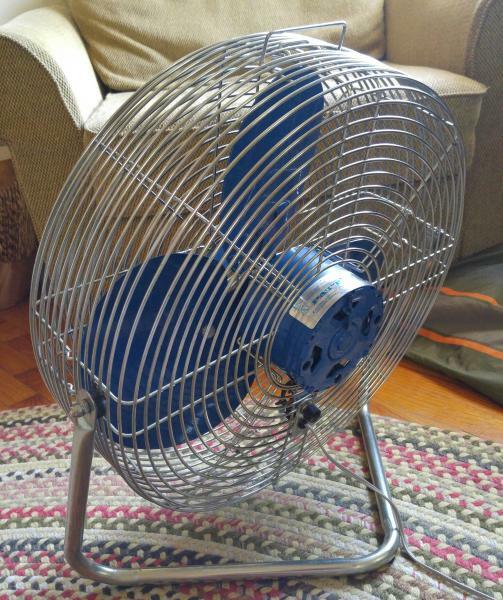 Someone in the testing lab must have made some precise calculations with the angle of the stand, thrust of the fan, and balance of the motor. 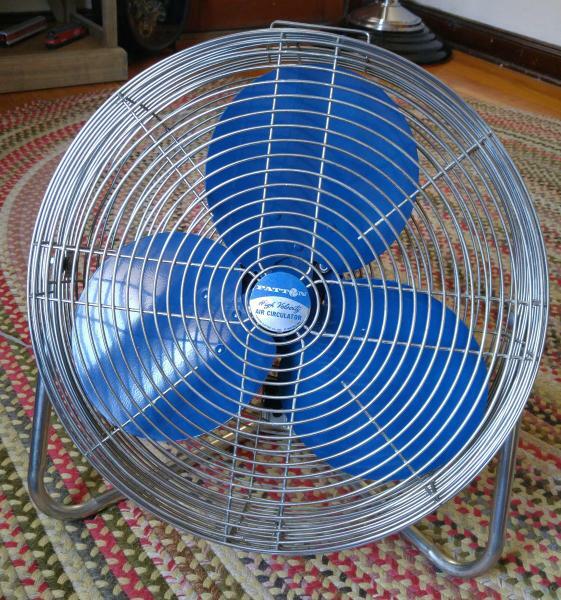 On high speed, the fan leans back and is just shy of tipping itself over with exceptional air movement. Medium is several notches calmer, while Low lets the wind noise and shaded-pole motor whine harmonize and serenade you. The sickle blades really make for quiet air movement. Well played, design team. I like the chrome accented switch knob and stamped aluminum speed control plate (Oooooo fancy!!). Later 90's versions just got a black plastic knob with a vinyl or foil sticker. No offence taken if it's not your cup of tea. Just try and appreciate the attention to detail and quality! Here's the older GE-powered brother (U2-1872) for comparison. These air circulators are great and powerful! As a kid I had a U2-1487, now I've got a Lakewood HV-18 with a McMillan motor that I use in the garage. When I bought it off of craigslist it was super crusty, but a little cleaning and some oil it runs very well. I did not know that LAU made blades for Patton, that is interesting. 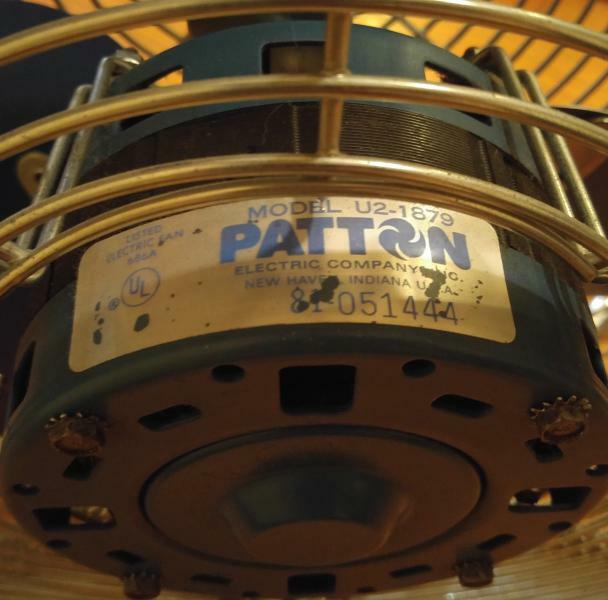 I don't know if I told you this before or not but these Patton fans were made in Fort Wayne, Indiana which is about an Hour and 20 minutes southeast of where I live. The Elementary School I went to when I was little had several Patton Pedestal Fans from the 1970s or so that they used throughout the school and I believe they were 3 speed oscillators, although when I do a GIS for such a beast I come up empty handed, (or for that matter even stationary models don't even come up) but I know they existed because I remember seeing them in school. 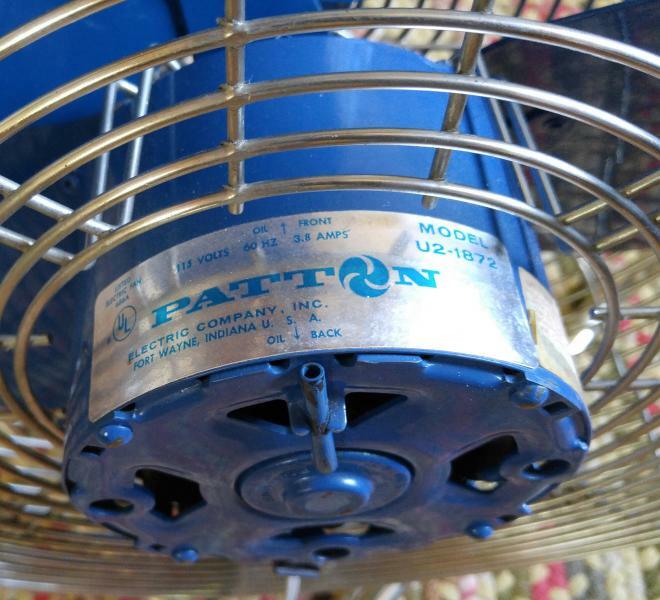 Anyways nice fan and I believe that the Westinghouse motor used in your Patton fan is a slightly newer version of the Westinghouse motor used in my late '60's early '70's vintage Air King Box Fan I have which is also a Permanently Lubricated (no oil ports) Motor. Very nice Trevor, I like quality circulators in general and have been on the lookout for an older Patton for awhile now. Well I know the ones my school had when I was a kid were oscillators because I remember seeing an oscillator mechanism on it and I even triggered it once but it didn't work very well (and I think it must of been because it wasn't greased properly over the years). Thank you guys for the kind remarks. 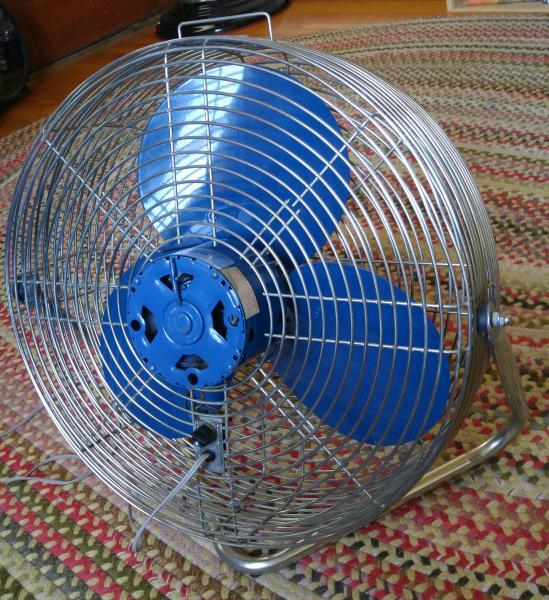 Vintage floor fans like these, to me, were a delicate balance between cost effectiveness and quality. 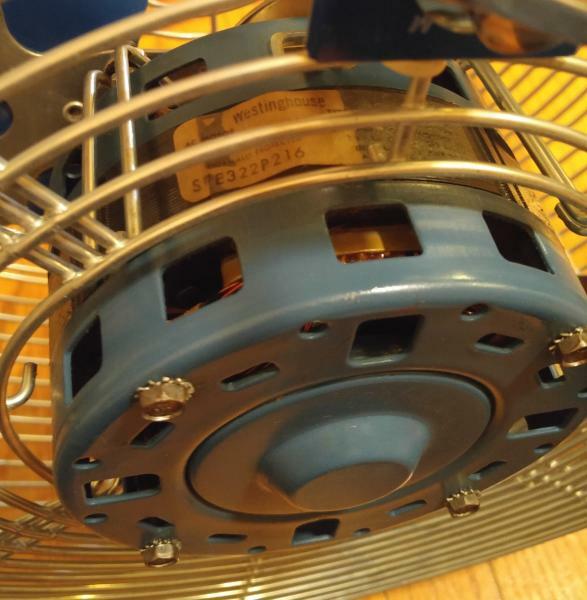 On average, fans like these have appropriately sized motors for the assigned blade set. 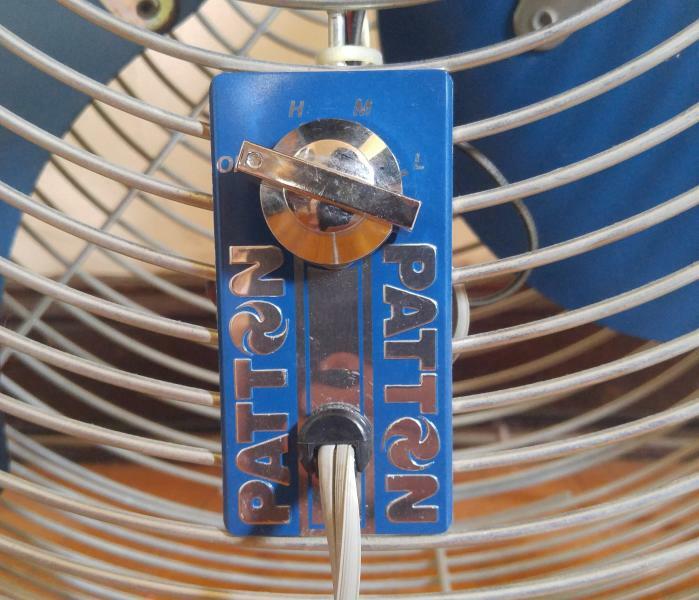 A "3-speed" fan meant 3 DISTINCT speeds. They won't win beauty contests or any Energy Star ratings (avg 3-5 amp motors), but they did their job very well and continue with finesse. Around our warehouse we have a slew of Maxxair 20" high velocity fans, purchased in 2018. The blades have an ultra-shallow pitch, which is essential for the small PSC motors that turn them. The wings have reinforced ribbing stamped in to offset how thin the sheet aluminum is. The wire cages are thin enough to deform with fingertip pressure and allow the motor to spring back and forth with the blade during operation. The real evidence is the side profile, which is slightly shallower than the box fans you can buy today. ...................................................................................................................But hey, they move air! Page processed in 0.1631 seconds (19% database + 81% PHP). 27 queries executed.